Applying Mascara is the final step in eye makeup. Mascara is applied on the eye lashes to beautify them. Different formulas and application of mascara can enhance your lashes in different ways. Mascara can often be very scary and hard to apply. Different colors of mascara such as brown, navy and green can make you look funky instantly. Before applying mascara, use an eyelash comb or damp toothbrush to comb your lashes. Always use a clean and fresh mascara wand on damp lashes. Scary because there is always a chance you could poke your eye, if you have a steady hand and you are trying not to get to close to the root of the lashes this should be no problem. A mascara without added fibres is normally sufficient, if applied correctly to make eye lashes look long and lustrous. 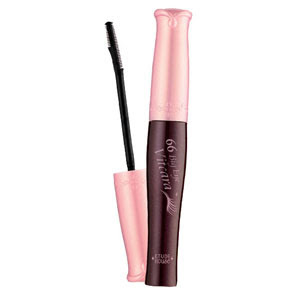 There are three different forms of mascara - water-based, water-proof and the mixed variety. It is important that mascara is used on an individual only to avoid transferring eye infections and if it causes even the slightest irritation in the eye, it must be immediately discarded. While removing the mascara from eyes always avoid the colour from going onto the delicate area below the bottom lashes and close your eyes. 1. Apply mascara after eye shadow and eyeliner. 3. Never curl your eyelashes after applying mascara because they can stick to the pad on curler. 4. Try not to blink your eyes for until it dries. To remove the excess mascara blot the lashes with a tissue. 5. Finally brush with a clean dry brush, to separate the lashes. 6. Always remove mascara before going to bed. This will keep lashes healthier. If you are bold enough, try putting on blue or brown mascara on your lashes after applying a coat of black mascara, for a stunning look. Mascara must be removed very carefully to avoid damaging the delicate skin around the eyes. Roll a cotton bud dipped in cosmetic cleaner over the lashes, taking mascara down on the tissues. Repeat this until all mascara removes.